The purpose of Globalplacement content and message boards is to both provide information and facilitate general dialogue about various employment-related topics. No legal advice is being given and no lawyer-client relationship created. You are not to rely on any information provided herein in assessing your legal rights in a particular situation but instead must consult your own lawyer. 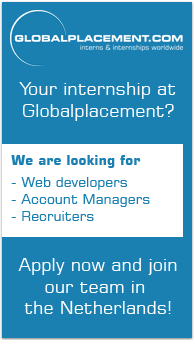 Globalplacement shall not be liable for any information provided herein. The information at this site has been prepared by, or on behalf of, Globalplacement for general informational purposes only; does not constitute legal advice and is presented without any representation or warranty whatsoever, including as to the accuracy or completeness of the information. Globalplacement is not responsible for any errors or omissions or for the results obtained from the use of such legal or other information. Users of information from this site, or any linked web sites, do so at their own risk. Links to information on sites other than those operated by, or on behalf of, Globalplacement, is for your convenience only and is not an endorsement or recommendation of those sites. Globalplacement does not take any responsibility for information at these sites, nor makes any representation or warranty with respect to these sites or their information. Transmission of information from this site is not intended to create, and its receipt does not constitute, an lawyer-client relationship between Globalplacement or any of its agents or consultants and you or anyone else. Electronic mail or other communication to Globalplacement or any agents or consultants resulting from your receipt of information from this site cannot be guaranteed to be confidential and will not, and should not be construed to, create a lawyer-client relationship between Globalplacement or any of its agents or consultants and you or anyone else. No one should, or is entitled to, rely in any manner on any of the information at this site. Parties seeking advice should consult with a lawyer familiar with their particular circumstances. Globalplacement will not be liable for any direct, indirect, consequential, special, exemplary or other damages arising from any information available on or from this site.